Sometimes when we go camping we just want to enjoy ourselves and relax. Most of those type of camping outings revolve around sharing stories, amazing food, and tasty craft beers. When it comes to setting up the spread at the campsite, we don’t take the task of pairing mouthwatering food with a perfectly matched craft beer, lightly. 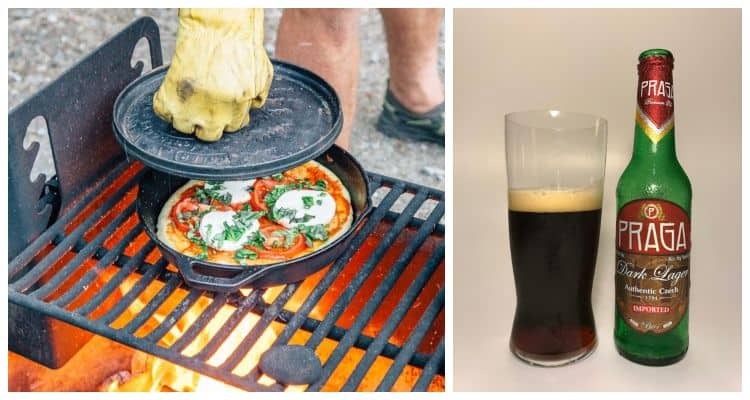 There is so much enjoyment to be had in cooking, eating and sharing camp food prepared on camping grill or stove, then washing it down with a balanced brew. But, properly pairing food and beer doesn’t just happen. Some knowledgeable planning and preparation goes into the creation of a great camping food menu, beer list and how to bring it all together. 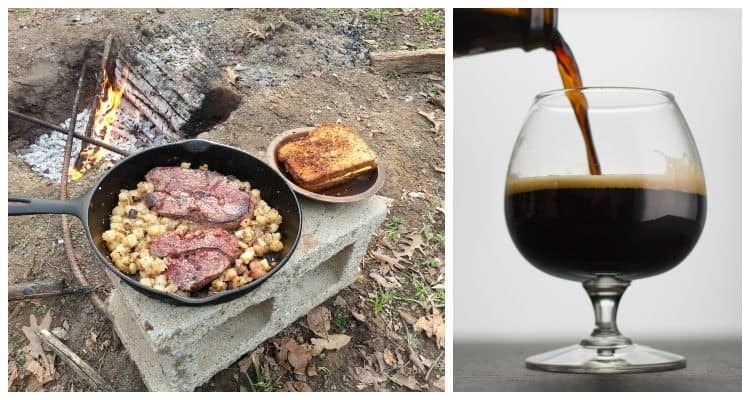 We’ve put together some of our favorite pairings for you to try out on your next camping trip or even at a backyard cookout. 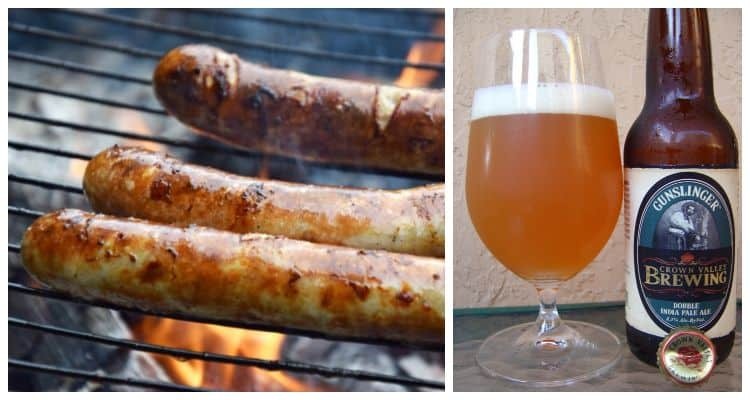 There are only a handful rules when it comes to making beer and food pairings work, simply because everyone has a unique palate. Keep in mind the intensities of flavor in your food and the beer you’re pairing it with. Many medium body and darker beers have rich and dominant flavors that can over-power certain types of food. To make an ideal pairing by contrast, pick a dish that has one strong, dominant flavor, such as sweet, rich, or earthy. Then, pair that bold dish with a beer that has a distinct taste that can shine through without being overwhelmed. Complementing flavors is one of the simplest ways to make a delicious beer and food pairing. Match weighty rich foods with beers that have a heavy and rich flavor. Or my favorite, stinky beers with stinky cheeses. You can use your beer as a palate cleanser for intense dishes. This concept is ideal for foods that have strong or intense flavors, like spicy Mexican food or greasy fried food. The Scotch ale is malty, with a rich and dominant sweet caramel character flavor and aroma. 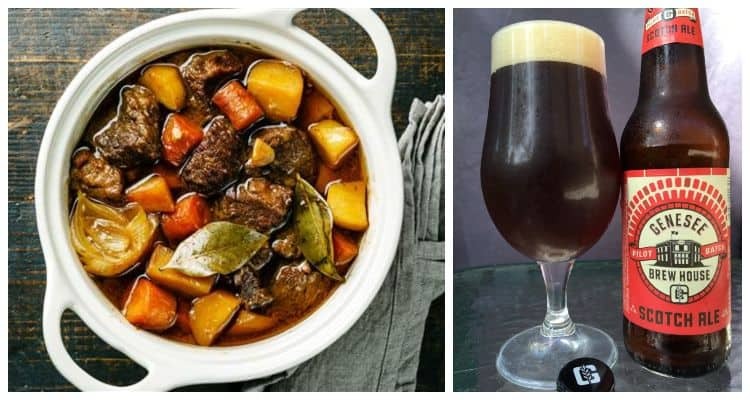 Some brews feature a slight smoked peat flavor and when paired with an earthy beef stew cooked on your stove makes for good eating. The aroma of high levels of roasted malts dominates the faint floral hops in dark lagers. Dark, sometimes obsidian in color, with moderately intense hints of dark chocolate and caramel with low-to-medium hop bitterness. All else pales in comparison when you pair with an earthy meat lovers pizza. Imperial Stouts that are aged in small batch bourbon barrels with a combination of pale caramel, chocolate and roasted malts are amazing while camping. The roasted malts give the beer a dark color as well as an intense flavor and aroma. Aged in bourbon barrels for up to 8 weeks results in a stout that brings out the roasted flavors from the malt and the warm toasted, vanilla, and bourbon flavors. Paired with venison cooked on grill to compliment the game meat taste. 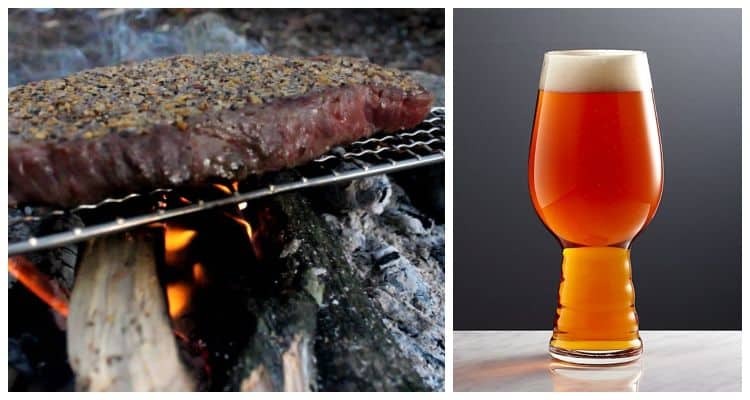 Why an IPA with steak? An IPA satisfies your taste buds while keeping your senses sharp. They tend to be brewed with a complex array of ingredients, yet balanced for optimal aromatics and a clean finish. It’s also a low cost craft beer that will hit the spot when enjoying that high dollar porterhouse, by the campfire. Our Choice: All Day IPA: Founders Brewing Co.
A typical brown ale has strong malty flavors balanced with hoppy components and chocolate, caramel and toasty malts are common. Bitterness should range from mid to medium-high which pairs well with a hearty campfire chili. Sweet malty aromas with hints of nutty oatmeal and fruity characters and slight hop aromas. Oatmeal stouts have an earthy & nutty oat flavors, balanced sweetness, along with mild notes of coffee. Paired with a creamy mac n cheese and you will feast like a king. Our Choice: Breckenridge Brewery Oatmeal Stout. When fire charred sausages with a lime and citrus squeeze are on the menu, only a double IPA, amped up with lip-smacking tang, will do. The herbal components of a DIPA tend to bring out the fiery extents of earthy meats. Our Choice: Hop Stoopid: Lagunitas Brewing Co.
A Quadrupel is a Belgian-style ale of pronounced strength and an even bolder flavor. Typically a dark foundation that falls within the deep red and ruby brown end of the spectrum with garnet hues, it is a full bodied beer with a rich, malty palate. Sweet on the palate with a low bitterness, but higher in alcohol content, Quads are well suited for a variety of cheeses. Our Choice: Stickee Monkee: Firestone Walker Brewing Co. 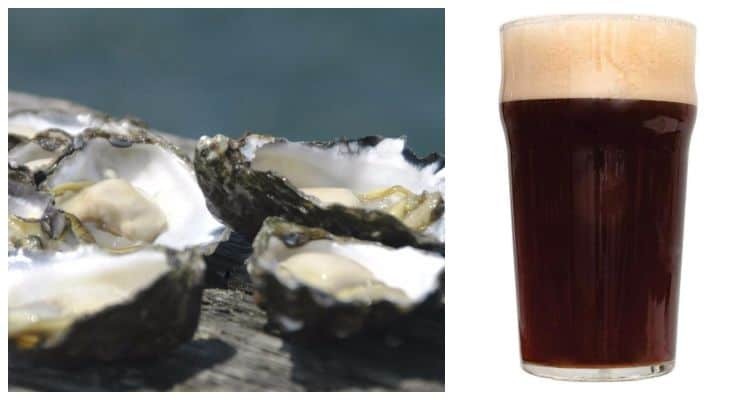 The deep, roasted maltiness and creamy finish of a well-made stout possess a fabled ability to heighten the briny, salt-sprayed flavors of oysters. Try it and you’ll agree. A historical beer style of Germany, in the 1500s, smoked beers are created by drying the malts over an open fire, leaving a moderate level of smoky flavor and aroma that compliments the beer style. 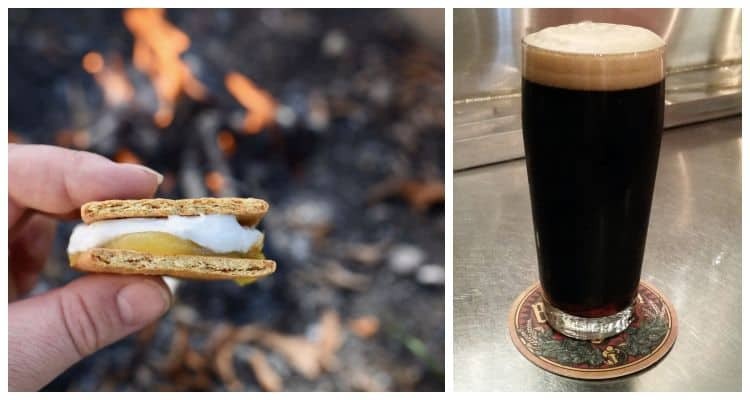 What better to pair with a rich smoky beer, than a flaming smoky S’more? Our Choice: Smoked Porter: Alaskan Brewing Co. 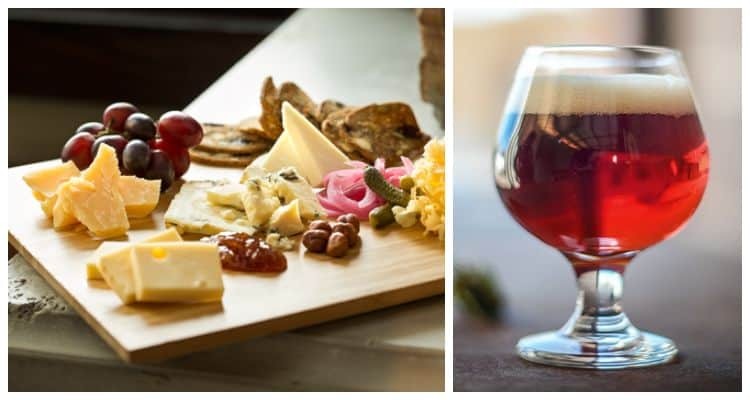 If you’re not sure what works or are new to beer and food pairings, stay regional with your selections. You can’t go wrong if you stick to the country of origin when pairing. German foods with German beer for instance. If fried fish tacos are on the menu, then opt for a Mexican Style Lager, the possibilities of pairing beer and food are endless. If you’re anything like us, the concept of camping in the beautiful wilderness contemplating life, while sipping some suds and devouring gourmet food is as good as it gets. The best part, is it’s all about trial and error to find the best combination of food and beer, so you may have to stay in camp for a while.